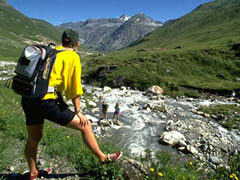 China Int'l Travel Service China International Travel Service provide economical group travel packages, luxury private travel packages as well as hotel reservation in China. 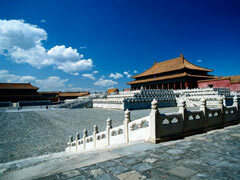 Beijing E-Tours This is a jack of all trades outfit offering specialized theme tours and dealing with areas of Beijing that would otherwise be hard to explore. 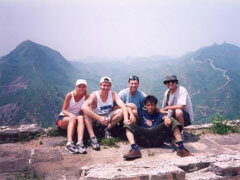 Other Tour Operators A list of several tour operators specialized in Great Wall tours, themed tours, hiking tour as well as varied tours. 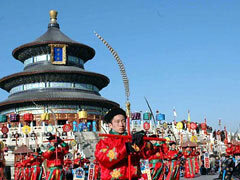 Tour Beijing Tour Beijing can arrange bird-watching trips and cruises on some of the city’s lakes. Tours cost round $60 a day depending on group size. 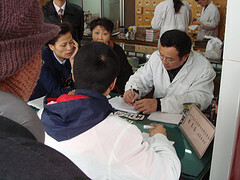 Beijing Discovery Tours For those whose interest in Chinese food goes further than ordering a number 72, Beijing offers plenty of chances to learn. 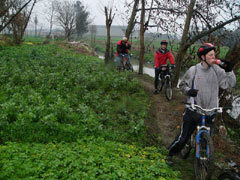 Cycle China For those who want to have a carefully planned tour, Cycle China offers themed trips around the city. 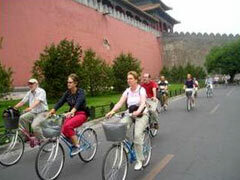 Bike China Adventures Get on your bike and start pedaling; these tours start in Beijing and cover anything from 300 to 500 miles.